David Cameron and President Asif Ali Zardari have insisted that the relationship between Britain and Pakistan is "unbreakable" after holding talks at Chequers. The two leaders attempted to smooth over the row sparked by the Prime Minister's recent controversial comments when he suggested elements within Pakistan were aiding terrorism. Standing alongside Mr Cameron at his country retreat, Mr Zardari said: "This is a friendship that will never break, no matter what happens. 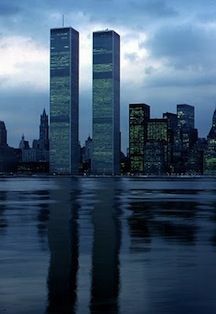 Storms will come and storms will go, and Pakistan and Britain will stand together and face all the difficulties with dignity, and we will make sure that the world is a better place for our coming generations." Mr Cameron said: "The president and I have been talking about what we see as an unbreakable relationship between Britain and Pakistan based on our mutual interests. "Above all what we've been talking about is our strategic partnership and how we can deepen and enhance that partnership to make sure we deal with all the issues where we want to see progress - whether that is in trade, whether it is in education and also in the absolutely vital area of combating terrorism, where we want to work together to combat terrorism. "Whether it is keeping troops safe in Afghanistan or keeping people safe on the streets of Britain, that is a real priority for my Government, and somewhere where, with Pakistan, we are going to work together in this enhanced strategic partnership." A joint statement from the two men revealed that Home Secretary Theresa May is to travel to Pakistan in the autumn, and the Prime Minister has accepted an invitation to make an "early visit". The text also included a recognition from Mr Cameron of the "sacrifices" that Pakistan had made in the fight against terrorism. The PM's remarks during a visit to regional rival India last month were criticised for ignoring the death toll the country had suffered as it tried to tackle extremism. 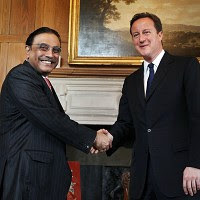 Mr Zardari had pledged to challenge Mr Cameron over his comments when they met. "Both leaders discussed the role being played by the (Pakistan) democratic government in fighting against terrorism," the statement said.